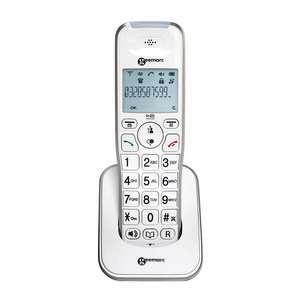 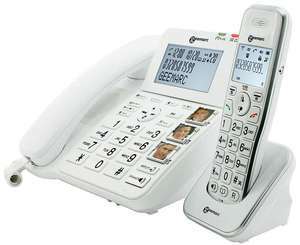 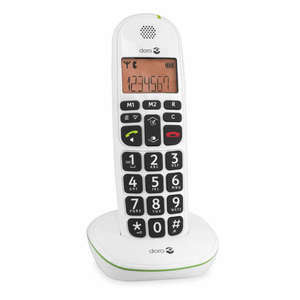 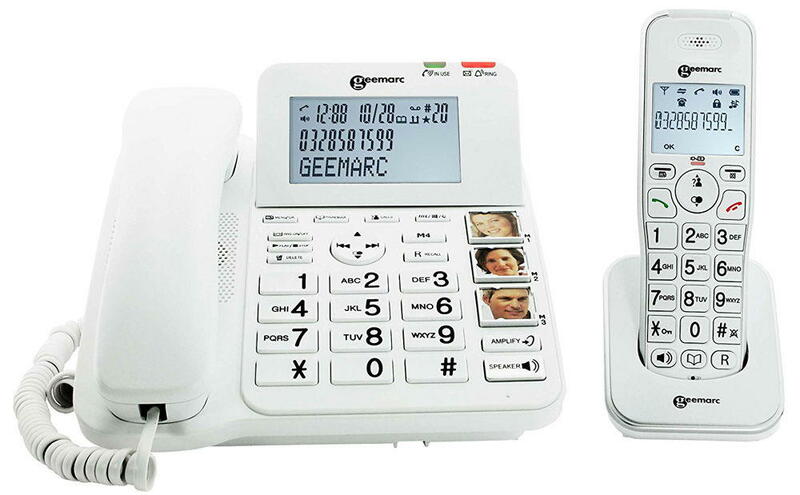 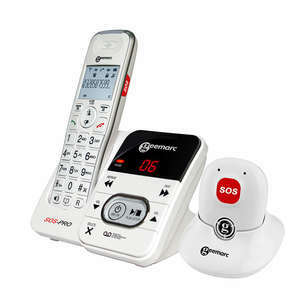 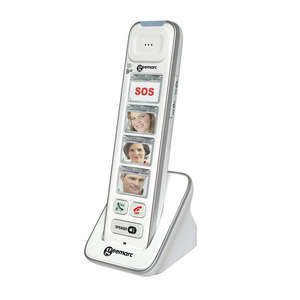 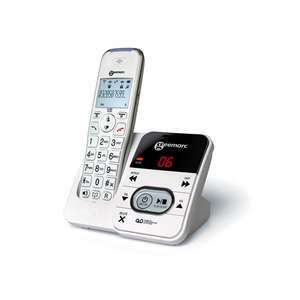 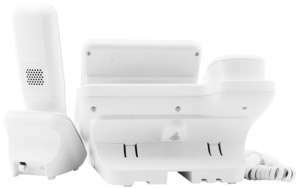 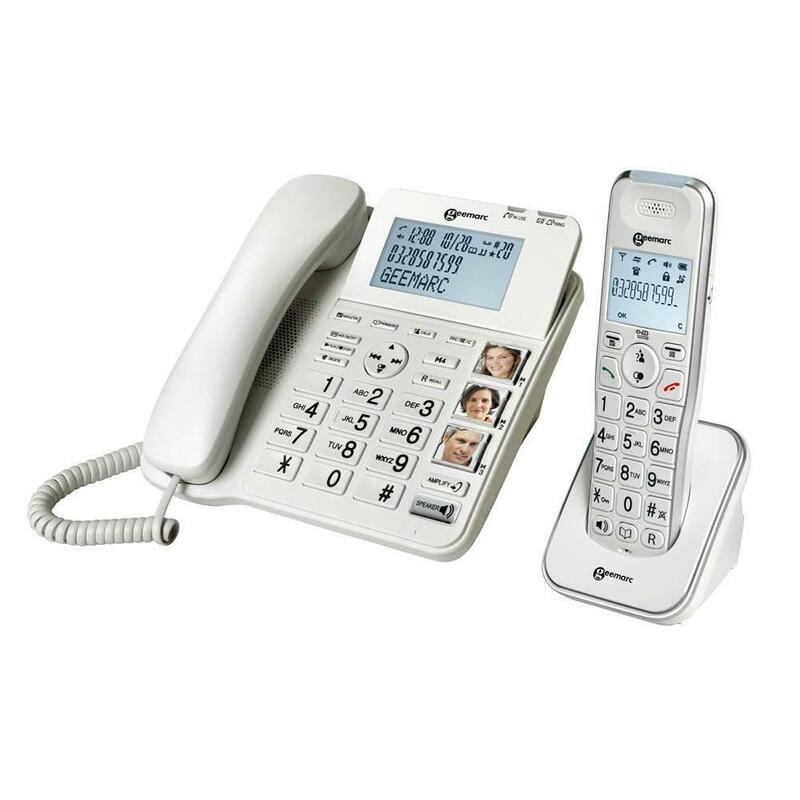 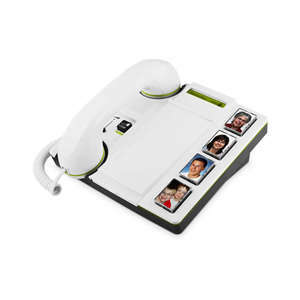 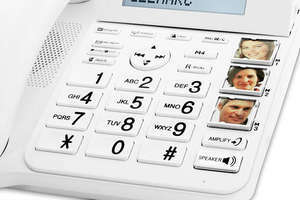 The Geemarc AmpliDECT Combi 295 with Answering Machine contains a corded and cordless telephone combination. 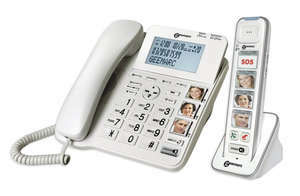 Geemarc has provided a unique Photo Button template for creating photo buttons for use with this telephone. 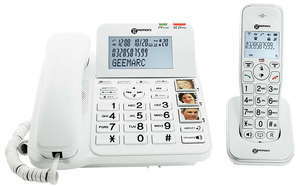 You receive both telephones pictured in the product image above. 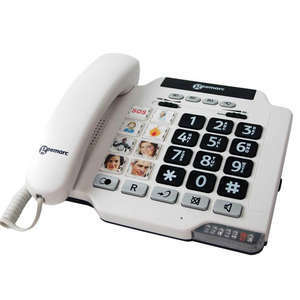 If you need more additional handsets these can be purchased separately.